Be a little bolder in the bedroom. Franklin brings a distinct industrial style to your sleeping space thanks to the on-trend mix of wood and metal. We’ve used black-stained mango wood for a rich finish. It’ll match most bedroom schemes, and if you like this, we've got a matching desk in the range, too. The copper trend is here to stay. 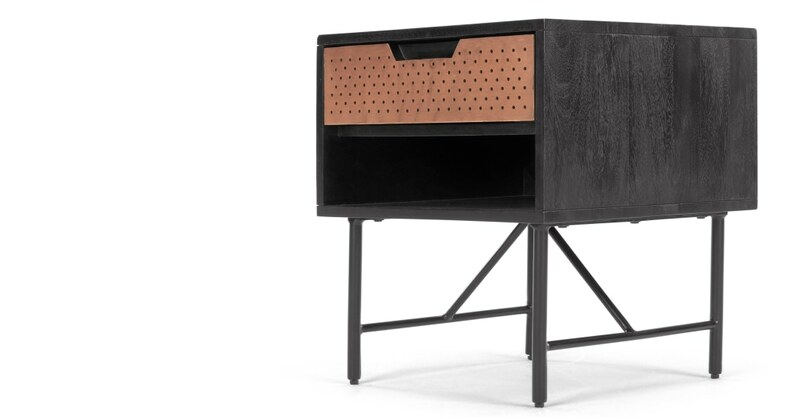 We’ve used copper-plated steel on the drawer fronts, with a punched design for extra industrial authenticity.